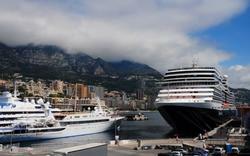 Regent Seven Seas offers itineraries to over 300 ports around the world. The cruise line has three luxury ships. Seven Seas Voyager and Seven Seas Mariner have all-suite cabins, all with balconies, and can accommodate 700 passengers. Navigator offers 90% of accommodations with balconies. 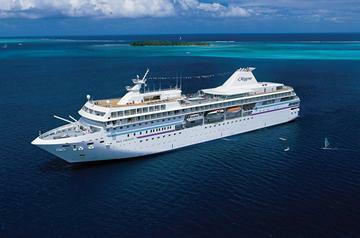 Popular Regent destinations include: Alaska, Bermuda, the Caribbean, world, Mediterranean, Asia, the Baltic and Tahiti. 7-night itineraries start at about $2,700 per person. There are many exciting Mediterranean itineraries during the spring and summer months. Explore famous sights of the Adriatic and Greek isles, tour the ancient shores of Black Sea ports, and experience the unique ambiance of the Italian and French Rivieras. Choose from 7-night and 10-night itineraries aboard the Mariner and the Voyager, priced from $5,300. You can go on a Mediterranean voyage from Athens to Venice, Barcelona to Rome, Athens to Istanbul, Venice to Montecarlo, and many other sailings. Simply pick your dates and which ports you would most like to visit. Enjoy the pleasures of relaxed cruising around the world aboard the Mariner and the Voyager - both ships sail on world cruises that let you see many famous ports on a 14-night journey. Longer sailings are offered, up to 162 nights in length. Both ships are 700-guest all-suite, all-balcony luxury ships with a European and International crew. Enjoy open-seating dining, Canyon Ranch SpaClub and a choice of four dining venues. Pricing for starts at $5,000. There are several 7-night, 10-night and 17-night itineraries that include Bermuda and Bahamas, as well as other Caribbean destinations. These Bermuda and Bahamas trips depart from and arrive at Ft. Lauderdale, Florida. Relax on sandy beaches, go snorkeling and enjoy a wide selection of land tours. Prices start from $3,865. Choose from several departure ports and lengths aboard the Navigator, including 12-night sailings from San Francisco to Vancouver, 7-Night sailings from Vancouver to Anchorage, Anchorage to Vancouver, or Vancouver to San Francisco. Rates start at $3,900 for 7 nights. Experience Alaskan wilderness up close and view unique wildlife. The Navigator is a 490-guest luxury ship, offering all-suite, all-oceanview accommodations, 90% of which have private balconies. Suites range in size from 301 to 1,173 square feet in size, including balcony. The ship has a crew of 345, offering passengers attentive service. The ship has three restaurants and offers open-seating dining in two of the three, allowing you the flexibility of choosing when and with whom you dine. There is a luxurious spa and fitness facilities by Canyon Ranch SpaClub. The Mariner is a 700-passenger ship offering all-suite, all-balcony accommodations. Suites range in size from 301 to 2,002 square feet, including balcony. 700 guests are attended to by 445 European and International crew. The Mariner offers open-seating dining, allowing passengers to dine when and with whom they choose in Compass Rose and La Veranda restaurants. There are a total of four dining venues, as well as extensive spa and fitness facilities. The Voyager is a 700-guest all-suite, all-balcony luxury ship which suites that range in size from 356 to 1,403 square feet, including balcony. Guests enjoy open-seating dining in Compass Rose and La Veranda restaurants. There are a total of four dining venues to choose from including Signatures, dedicated to Le Cordon Bleu cuisine, and Prime 7, a contemporary interpretation of a classic American steakhouse. There is a spa and fitness by Canyon Ranch SpaClub.